James Schramko and web developer Dave Wooding are back to round out the Website Tune-Up Series. In this final episode, they’ll tell you how to give your website that extra edge that will lend power to your brand and boost your income. 13:39 – Are you surveying your visitors? James: James Schramko here. Welcome back to SuperFastBusiness.com. This is actually part three of our Website Tune-Up Series. I have my good friend and long-time website development partner and owner of RecommendWP.com, Dave Wooding. Dave: Hey James! Thanks again for having me here. I appreciate it. James: We’ve been having fun on this series. We’ve been helping people tune up their website. If we go back to the first episode, we were talking about what to do when your website is broken and how to even know if it’s broken. We were talking about mobile-responsiveness, hosting, images, broken themes, Frankensteins, broken cores, all that good stuff. If you haven’t listened to that episode, go back and have a listen to that episode just to make sure that your website is working properly. Then in the second episode, we talked about going beyond the basics. How to actually add content properly using a schedule and an orderly sequence of having the correct page titles, and tags, categories, images, and headlines, and lists. That was just good basics. And then we sort of delved into how to connect things like autoresponders and membership solutions and making sure we pick the right solution. And you got the right person to help you hook it up. So they can all be automated. People can move seamlessly from your website to a membership solution and they can pay you, and if they no longer pay then it stops them having access. All of those good things. They’re totally achievable, they’re fully automatable, and you should be enjoying that. Today, we’re going into the supercharged stuff. In our Website Tune-Up Series, we’re going to talk about what can we do now to take it up a notch. We’ll have a look at some of the things that I’m doing with my website and that Dave’s helping people with at a high level. Let’s kick off with the first one, Dave, and that would have to be having your own custom design. Why is it important to have a custom design instead of just grabbing something off the shelf? Why do you need to have your own custom design? Dave: So custom design basically gives you full control over the look and feel of what you want to present out to the world. You can definitely get some good pre-done themes, get them customized a little bit to match what you want, but if you want to go the full route and you want to have for instance a site that’s truly dedicated to a sales page that has a call to action or presents videos in a certain way, going with a custom design gives you that capability. Once you got the basics down, and your site is working, mobile-friendly, you’ve got content going up, you’ve got people coming to your site, you’re collecting emails, usually the next step is to really go out and have a brand. I’ve seen people, I’ll mention Kevin Rogers, he’s had a great design done for his site, and I’m seeing that he is now doing videos in the car. And he’s got a little nice little logo at the bottom and that logo is pretty obvious that it leads back or indicates where his website is and what his business is about. So with a custom design on your site, you’ve got a better chance of branding yourself better, getting the message across that you want and just kind of showing up at top of line for people. James: So you can basically have an unrestricted conversation with the designer or a conversion expert and start with a blank canvas. What they do is they will mock up the perfect website. In my case, I’ve had a lot of help from Greg Merrilees from Studio1Design.com. He will just mock up the site and then he will give me the PSD file and that’s when your team is really, really good at replicating that faithfully into WordPress. Can you just explain what happens at that point? Dave: Yeah. I just want to mention we know what we’re good at. So we’re not designers per se, but we can absolutely take what is given and turn it into a great looking site. So for instance, you mention Greg comes up with this PSD file. So that gets sent over from you, the customer, to us. We figure out what needs to be done. And I’ll be honest, to me it’s magic. This is not my area of expertise. But the guys and girls on the team, they’re absolutely great at this. They’ll take that, slice it up, for lack of a better word, so that it works with WordPress, make it mobile-friendly, so that it displays well, things line up perfectly, and then put it on to your website typically as a child-theme to the Genesis WordPress theme. That’s kind of how it happens behind the scenes if you will. James: Right. And the great thing is if you look around a marketplace at any expert, you’re going to see indications they’ve got their own theme. It is not something out of the shelf. Any popstar, any food expert, any expert author, I’ve used custom themes, most people in my space do, it’s just what you do when you get to that point where you’ve got the budget for it, you can have the best and you want it. It doesn’t matter who you work with as a designer, whether it’s in-house, external, you work with several, if you can get a deliverable, if you want to turn a look and feel that’s presented to you in a Illustrator or Photoshop file into a fully-functioning website, that’s where Dave’s team at RecommendWP.com can help you. And it’s actually not very expensive considering the amount of labor involved. It can take something like 35 to 40 hours to make the various versions of the site depending on how many pages. Dave: Right. So it takes about five hours per page. That might be fast or slow compared to other people but to get the look and feel that we typically deliver, that’s about what it takes on a per page basis. Now some pages are going to be a little easier or harder. The homepage probably more challenging. A simple page that just displays content with a sidebar might be a little bit less but overall, you would expect to take about five hours per page when you’re getting something custom like that done. James: We’re not even talking about some of the back and forth that happens in the support thread. I think this is really important to mention, when people factor in time, they’re not taking into account the time it takes to brief the job, and to look at updates or mock ups, or to have discussions back and forth, or to answer the inevitable questions that come up when your designer may not have considered every possible, conceivable option. Like when you are coding up the page, you might have an option to show an opt-in or not or to have it on certain pages but not others. Good designers are going to have this dialed in, but I’m sure other designers like architects will often leave in some ambiguity forcing a little bit of discussion or decision making on the fly. I know you don’t bill for that time either. This is where you have a big difference, I think, over someone who’s just charging you an hourly rate regardless of what the discussion is, which is kind of how lawyers and accountants tend to work. Dave: Yeah. I know what you’re talking about. It’s unfortunate when it happens but we know it happens. We understand that that’s going to be the case and that’s why we have the capability of making adjustments on the fly. Like I said, we’re not necessarily the designers but we certainly can tweak and we can also of course build the site and then make adjustments as needed to make it actually work. So it’s one thing to design it, it’s another thing to get it to work in the real world if you will. So you’re right. It definitely takes time, effort, back and forth communication, making sure it’s tweaked. And of course sometimes, the customer doesn’t ultimately know what they want until they see it. They say, “Oh wait a minute, I was hoping to have it look like this. Can you adjust it?” OK. Yes we can adjust that. That’s why I say it takes about five hours-ish per page to knock out a custom-designed website. James: Yes, I’m sure there’s different levels of customers with tolerances, and expectations and finickiness, whether it’s their first big job or they’ve done a hundred before if they’re an agency re-selling to corporates. You’re going to have different level of communication at times. Dave: Yeah. And that’s why we try and be good about getting to know what the customer ultimately wants. And part of it is just to understand how much do they know because if we find out somebody’s, this is their first site ever, they’ve never had this done, they definitely need to be led down the path, and we have to ask the right questions, we have to make sure they understand. On the other extreme, we might have a customer who’s been coming back to us for years and we know exactly what’s important to them. They don’t even have to say it because we’ve dealt with them in the past, we know that the timing is important or the level of detail, which everyone gets, or reporting details, say keeping them up-to-date on a regular basis even if there isn’t an update. That’s why we like to put a lot of upfront time typically with these larger custom design jobs so that we build it once and we don’t have to come back and tweak or fix or something like that. So in my opinion, it’s worth spending that upfront time even if it’s not in theory paid for but because everyone ends up winning in that way. The customer hopefully does get what they want in the timely manner. We understand the scope, we can say, “Yes, this is what it’s going to take with regards to resources,” and then the customer gets what they want. James: And a lot of these packages you’re selling as a fixed price deal once you’ve quoted on it. So that’s giving a lot of stability and comfort to the customer knowing what they can get. If they are on open-ended agreements with developers, they might want to have a look at that and see if they’re overpaying for that back and forth. Let’s talk about the next thing, which is some of the things that people maybe don’t even know that they could have but would be really helpful. One of my favorite of course is the shopping cart abandonment sequence, and this is something you generally don’t get out of the box. I know some different platforms have it. I think Shopify has this sort of thing built in. But if you were running a WordPress site and you’re using a shopping cart and an autoresponder, it would certainly be good to have these things talking to each other and to know when someone visits your checkout page but does not buy and then you start following them up. Typically, how many of the customers you’re dealing with as a percentage would have this in place? Dave: Well almost I’m going to say zero when they show up. It’s kind of rare that people have something like this setup but to me, this is one of kind of the biggies. You’re paying for this capability but you’re not using it especially if you’re selling something. So there’s definitely upside for people that implement for instance a shopping cart abandonment sequence. Remember, we’re on the internet here. You can leverage your activities. It’s not like you have to type in email every time somebody visits but doesn’t buy. You do it once and it happens over and over. So typically, not very many people have it, but the potential is there. James: It could really add something like 30% more sales to your income. So to work this out, someone could just simply think, ‘Well here’s my annual sales revenue, if I were to have this one-time installation integrated, I could possibly add somewhere between 20% to 30% more sales after that installation.’ And they only pay you once to have it set up. If they’re selling enough per year, that 20% or 30% is worth more than the cost to install it, then it would be a very smart thing to do. Dave: Yup. It does take a little coordination between the different things like WordPress, your autoresponder, there’s some code that need to be installed on your site, typically you have to figure out a connection, a way to communicate between your site and your either shopping cart or your autoresponder. All that is doable. It’s been done. But it’s not something somebody would know how to do right out of the gate. It’s kind of one of those things like, wouldn’t it be nice. If you can think about it, if you can write it down or figure out what it is you want, it’s likely that it can be done, and this is one of those things. Enough people have thought about this, enough people know the value in it that implementing a solution where somebody visits your site, your shopping cart specifically, does it buy within a certain amount of time, follow up with them, send them an email. James: Yeah, it’s absolutely essential and it’s one of the first things that we do with the customer if I find out they don’t have it. It’s so powerful. Another one that’s very popular, we hear people talking about it. Of course Ryan Levesque is popular for his ASK method, but it’s surveying people, and you can do it based on different segments of your visitors to the site. It’s a really great thing to have. Still, a lot of people, almost no one really does this relatively speaking, it’s only high-level customers doing this. Dave: Well OK then I’m a high-level customer for myself because actually I do do this and I’ll give you an example. When people do buy from me, I follow up with an email, they click on a link, they go to a page, I show a video and it says, “Hey, thanks for purchasing. May I ask you a few questions?” So then I’ve got a list of questions, and all you have to do is just click and at the end submit. What will end up happening is based on your responses, we will put that information into my autoresponder. So I might ask, do you use PayPal, do you use Stripe, do you accept credit cards, do you accept money orders? Well somebody could pick all four of those, they could pick one, pick the other. Now I get that information put into my autoresponder so that in the future, I can say, “Hey, anybody that’s using Stripe, here’s something that you should know.” So that I can talk to them about what’s important to them. So again, it’s one of the things, kind of set it up once, think about what it is you want to know your customer, get that information and then present it to them, present what they want to hear about. If somebody uses Stripe but never uses PayPal, I’m not going to tell them about PayPal if they’re only interested in Stripe. James: So it’s about keeping the conversation relevant. 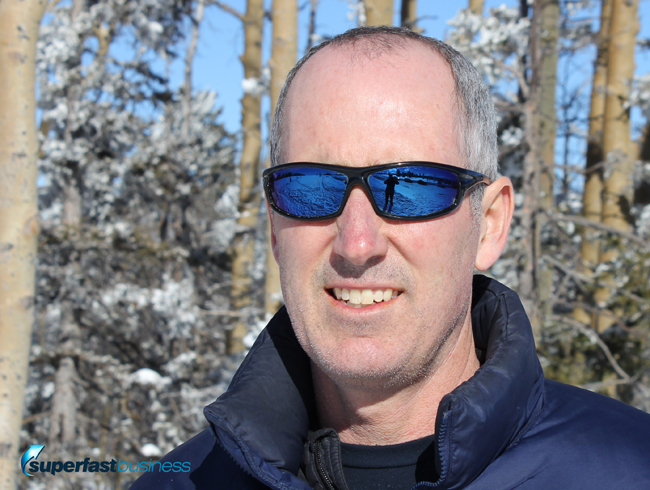 James: It’s like when I was selling website services, search engine optimization and business coaching from SuperFastBusiness.com, we had different categories for our blog posts, different email lists that we would announce the posts to, and it made sense. Also when we do content upgrades, we tag people with the topic that they ask for the content upgrade on. If it’s this series, there will probably be a tag about website development because then we can have a conversation around things like WordPress or integration add-ons like Nanacast or LeadPages. If it was a different topic, email building for example, we’d have one on autoresponders and emails. So you can use those little tags to build up communication groups within your system. Let’s talk about a really cool one, which is firing off behavioral-based sequences based on where people visit. Dave: Yeah. For instance, a lot of autoresponders, I’m thinking Ontraport or ActiveCampaign, they allow you to put some code on your website that basically follows people around and knows where they go. ActiveCampaign, the code will then put history of your visitor’s behavior into your autoresponder. And again, you can cause things to happen, you can send out an email, you can set up a reminder to do something based on for instance visiting or even just clicking a link. That’s the kind of stuff that you can get down to in terms of capability with automation that’s available. I don’t know if I mentioned it but I think Intercom, which is like a little chat feature, you can track people’s behavior, where they’ve been, what they’ve been doing, how many times they visited, and then guess what? You can segment those people. You can have hyperactive users, people that visited your site the last seven days more than 30 times, or you can have something else where somebody hasn’t visited in 30 days. I think Intercom calls those people slipping away. Well guess what? You can then send out a message saying, “Hey, looks like you haven’t been around in a while. Is there something I can help you with?” So based on people’s activity, you’re able to message them, or understand them a little bit better and do something about that. You’ve got to think about it James, in the 10 years that we’ve known each other, we didn’t have ActiveCampaign. I forget when Infusionsoft came out. Ontraport was around. But things have definitely gotten more sophisticated. James: Way more. Way more than I was sticking an Aweber box on my homepage. We don’t even think about homepages now. The great bulk of my opt-ins come from content upgrades, specific-themed upgrades for podcasts. A lot of my emails are just going out to different segments based on what they’re interested in. It’s all about relevancy and context. Most importantly, it’s all these little bits of code here and there and the tools that we have available to us. We really need to sit down with someone who understands them and say, “Here’s what I’ve got. Tell me what I’m missing or what I need, and please help me hook it all up.” That is the way forward. I do this with external advisers all the time. I’ve got people helping me with conversions. I’ve got people helping me with automated webinars. I’ve got people helping me with design, and I’ve got people helping me with website stuff because my best function is to be running podcasts like this to help me help people as a business coach and then to answer questions inside my community on how people can have a better business online. So I shouldn’t be trying to specialize in all this tech stuff. I should be just having a company do this. Just a quick recap here, we talked about some supercharging stuff here. Getting your own personalized custom theme. As a side note, I think you still sell the theme that I spend at least $10,000 developing and refining and testing, the OTR theme, there for how much? Dave: You’re going to have to forgive me but I’m going to think it’s less than $200 for the theme. James: Right. For a couple of hundred bucks, you can have it installed too. James: So if you want to shortcut the process, just start with that. If your website is less than great right now, I would recommend you start with the OTR theme. It works really well. And then secondly, we talked about integrating things like the number one thing to have someone set up for you is the shopping cart abandonment sequence. And then the next things that follow from that are specific category theme surveys and sequences that are behaviorally based other than the shopping cart one is when people visit a certain page, they can follow up with a certain thing. Things like I had in my P.S. at one point. This email was sent using Ontraport. And when people clicked on that, they got sent, why I changed to Ontraport and some bonus if they bought it through me type stuff. You can have all of these technology sitting at your fingertips. Get someone like Dave and the team at RecommendWP.com to unleash it for you. Dave, thanks for joining me on this three-part series where we’ve talked about fixing broken websites, getting your website updated properly with good content and hooking it into other solutions like autoresponders and memberships and then personalizing it with your own theme and integrating some really cool behavioral-based sequences and theme-based surveys. I think this has been an educational and fun series for us to put on. Dave: Yeah. Thank you very much. It’s always a pleasure to connect with you. James: So we’re going to field questions below this podcast. If you’ve enjoyed the series, please share it with someone who you know has got a broken website or they’re not fully tapping into the power of their website. If you need help with your website, head over and see RecommendWP.com. Dave and the team will be happy to look after you. Let them know I sent you, that you listened to this podcast, so they’ll know what you’re talking about. They’ll know how much you know about websites from now. Of course I look forward to catching up with you on a future episode.